Welcome to another Cross Canada Hop! It’s been a while since I participated and I’m excited to be back in the line up. To be honest, I couldn’t NOT do it this month because the theme is all our favourite products! If you arrived from Michelle’s blog, you’re on the right track. If you’re starting here and want to literally hop across Canada, just pop on over to Michelle’s blog and you’ll be at the beginning. You’ll also find a complete list of participating blogs there. Second, I adore using the Aqua Dots and now we have Flamingo ones! Third, washi, washi, WASHI! I have had a love affair with washi for quite some time and the new colours/patterns that came out in this new book are fab-u-lous! And fourth, I am over-the-moon about our new Paper Fundamentals paper pack. It’s so fun to work with. The entire layout is made with one of the sheets. It’s got an embossed pattern on one side and that same pattern in white on the back. Those are my favourites. What are your’s? I’d love to hear. Now, you can hop on over to Brandy’s blog and check out what her favourite products are. This layout really is eye catching !! Love how you personlized it to fit your pictures. Also, how did you make the dotted circle images, are they stitched? Thanks Famida! Yes, the circles are stitched. I used the Stitch Guide to poke holes and then stitched them with 4 strands of embroidery floss. 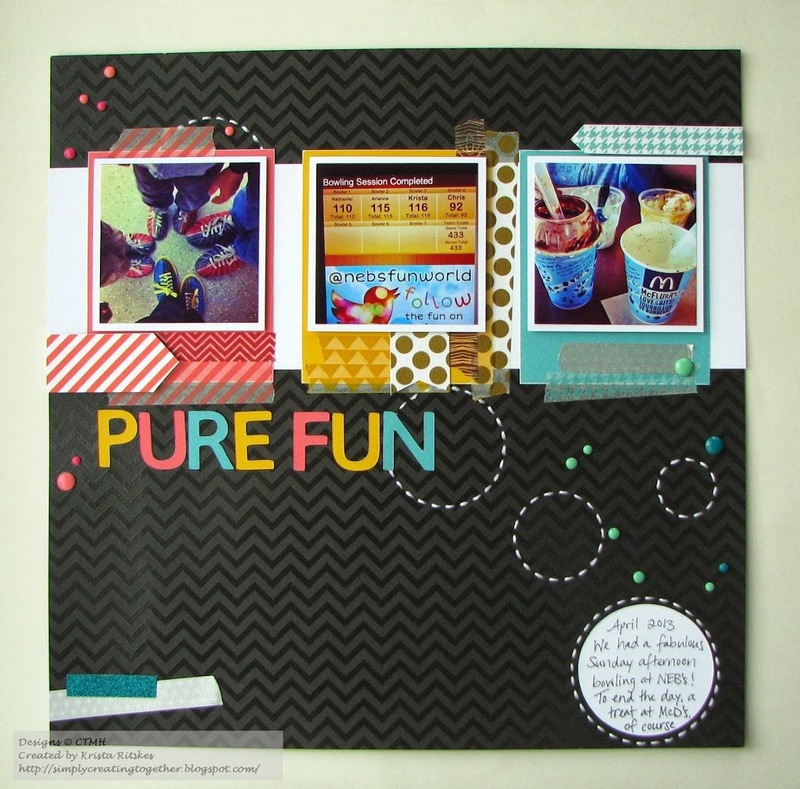 Fabulous layout, I love the detail that was created, and you used so many awesome products to create this. Love the stitched circles. Great layout!! I am a washi nut too and love to use it on everything! I even tape my business card to mycatalogues with it so customers can see what it looks like! Great layout. Love the details. I guess one of the best resons for chosing CTMH is the idea book. You did a great job of taking a layout and making it yours. 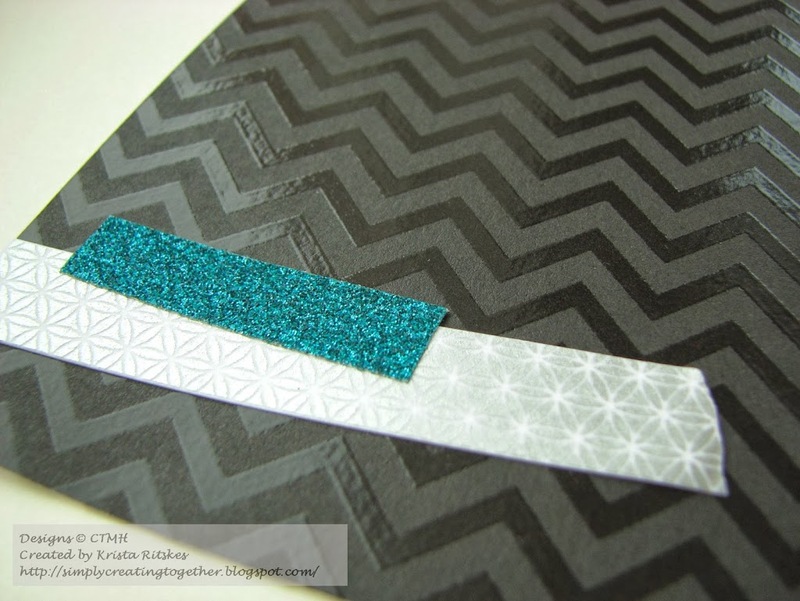 And I agree the teal shimmer tape is awesome. Really great projects! I’m looking forward to getting the paper fundamentals. 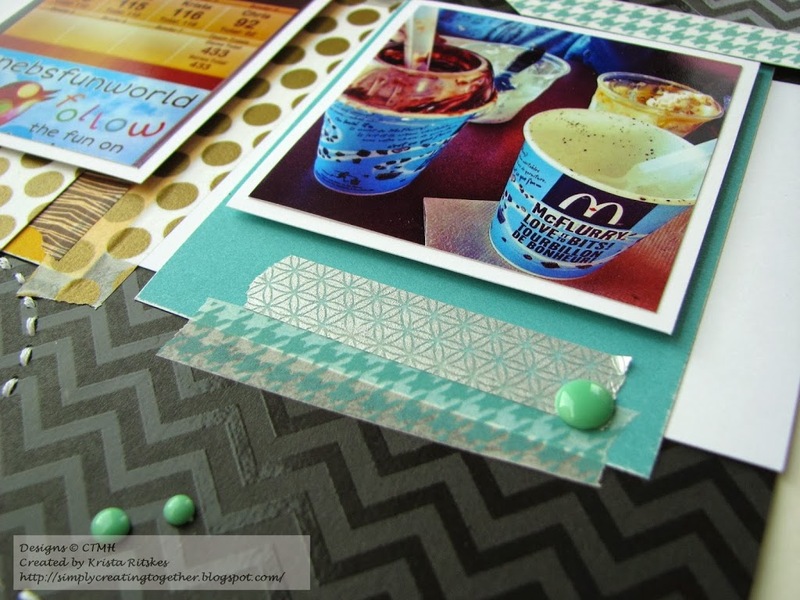 I’m with you, Washi, shimmer trim, aqua dots and the new papers! love them all…I was totally wanting to recreate that layout from the IB too…great minds! Love your page! This layout always catches my eye as I go through the idea book! Another page on my list to do! Very nice. You did a great job. OUTSTANDING job! 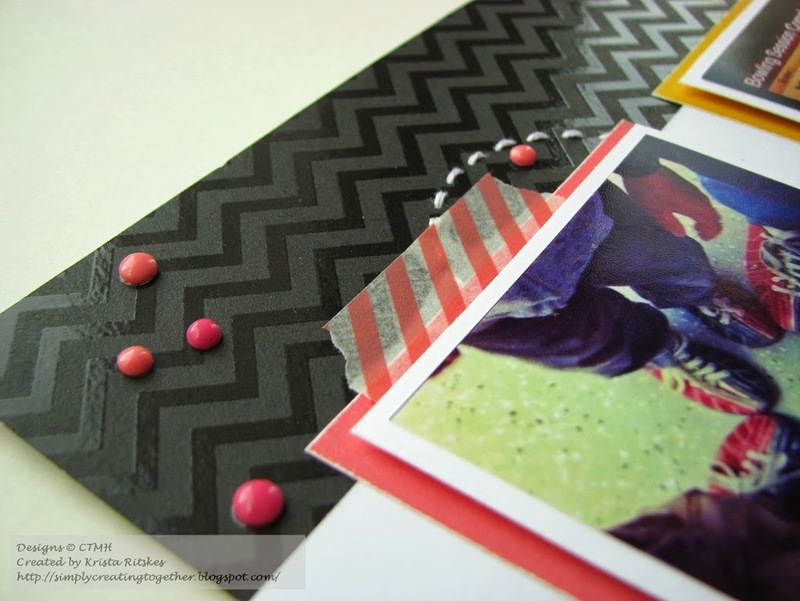 Love your layout…so colorful, and fun, and love how it showcases so many products/techniques! BRAVO!